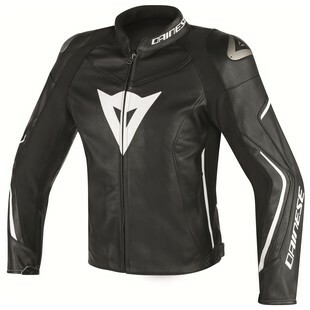 Dainese is launching their new fall/spring women's line with the highly technical Dainese Assen Women’s Leather Jacket. Set up by popular demand with aluminum shoulder inserts and removable composite protectors, this jacket is certified to CE Level 2. Grid cowhide leather is mixed with S1 bielastic fabric in all of the areas you need a little more stretch and an adjustable waist makes it even easier to dial in the perfect fit. There are two outside pockets, 1 inner pocket, and a pocket for the G1 and G2 Dainese Back Protector Inserts. The TF TechFrame internal liner helps wick away moisture keeping you feeling and looking cool. Incorporating the brand new Dainese lettering and an apex-grabbing design, the Assen is definitely the next-level race inspired women's jacket we have been waiting for.